Do You Need to Find Out What's Going on Underground? Protecting California’s Groundwater Resources Since 1988. Weber, Hayes & Associates (WHA) has provided over two decades of hydrogeologic and environmental engineering consulting services throughout the Santa Cruz, greater Central Coast and San Francisco Bay regions and beyond. Our expert staff provides straightforward solutions to regulatory and planning requirements associated with environmental assessment and the cleanup of soil, groundwater, and stormwater. Powered by a staff of experienced earth scientists, hydrogeologists, and engineers, Weber, Hayes & Associates is qualified to provide a wide range of surface and subsurface investigations. 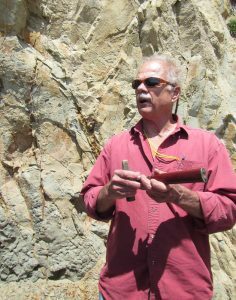 Our firm was founded in 1988 by Dr. Gerald E. Weber who has been active as a geologic consultant in the Monterey Bay area since 1974. A sampling of our areas of expertise can be viewed in Services > What We Offer. © 2019 Weber, Hayes & Associates (WHA).